Replacing the aging Vectra, it wasn’t hard for the Insignia to be an impressive leap forward. 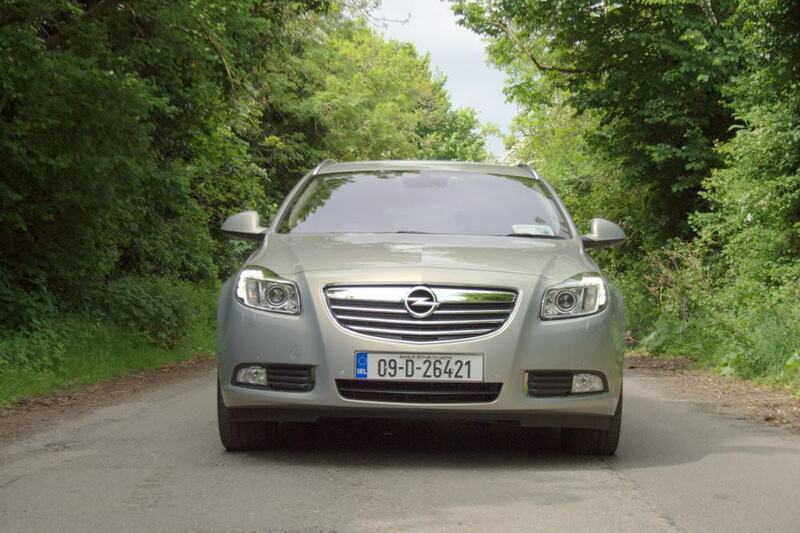 Replacing the aging Vectra, it wasn’t hard for the Insignia to be an impressive leap forward. However, nobody really expected it to look, drive or be built as well as it is and it’s gone on to be the third best-selling car in the segment in Ireland. There’s a hatchback, estate (or Sports Tourer in marketing speak) and even a saloon though it looks little different to the hatch and isn’t as practical. The Insignia is a popular choice, and with little real prestige it represents something of a used bargain. The most common Insignia on the road is the saloon, but the range also includes a hatchback, which looks very similar and a Sports Tourer model too. All offer plenty of cabin space, but the saloon is actually the least practical of the trio - the Sports Tourer offering 1,510 litres of load space with the seats folded. There’s a huge variety of trim levels on offer as well, encompassing S, SC, SE, SRi, SRi Limited Edition, Elite and OPC models. The latter stands for Opel Performance Centre and denotes the fastest Insignia available with a 2.8-litre turbocharged V6 petrol engine with 325hp and four-wheel drive. Far more sensible is the 1.4-litre turbocharged petrol with 140hp, or one of the 2.0-litre diesel engines either with 130- or 160hp. You can even specify the latter with four-wheel drive, and the latest models also come with start-stop on the six-speed manual examples. If you’d rather not change gear yourself there is a six-speed automatic gearbox as well, though this isn’t available on all engine grades. It’s also wise to try and find a car in SC or SE trim or above, as the basic S is rather spartan when it comes to levels of equipment. Both diesel engines are great units, but we’d hunt out one of the more powerful 160hp models - there’s no real penalty in terms of economy or efficiency, and performance is much better when fully loaded. We’d also opt for an SE model as the extra kit makes it much better value, especially as a used buy. Choosing between the hatchback and the Tourer is much more difficult, as both look great and offer plenty of practicality - though the difference is negligible. Bear in mind that there are more saloons available. It might not have the prestige of an Audi or BMW, but this Opel proves to be just as good an all-rounder. It’s cleverly designed and boasts a spacious cabin, while the later models have become even more efficient. The wide choice of trim levels, engine and transmissions make it easy to find the right car for you, while its relative abundance on the used market can make it a real bargain.